Welcome to the official 424Friends Steam Group! 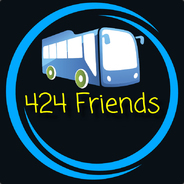 Join the 424Friends official MetaGamerScore crew today! Hi all! as one of the 3 superior awesome members of 424 Friends! we have decided to hold a tournament, keep checking back for more info. "Games recommended by the 424Friends crew!" Any suggestions of games that we should host servers for?